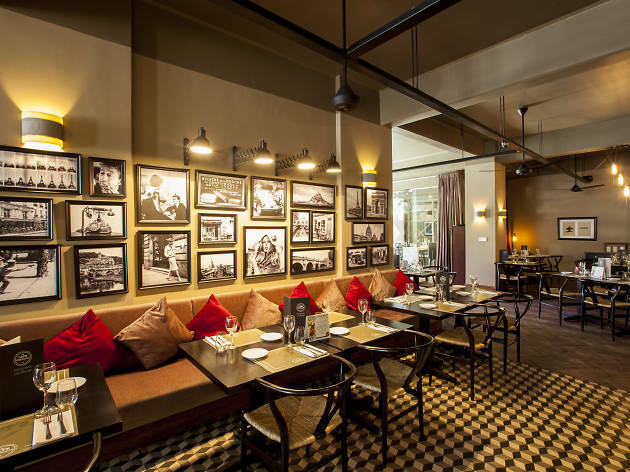 Located in the midst of Colombo’s central business district, Café Français entices with its distinctive facade. Walking past the al fresco seating area, you are transported into a spacious and elegant upscale bistro from France. 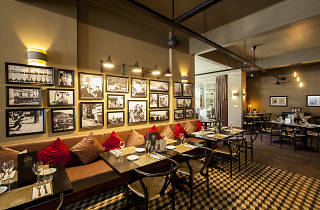 Black and white pictures adorn the beige walls while grand, plush couches and wooden floors complement the setting. The stunning interiors are complete with soft mood lighting and sleek tables, creating a very warm and welcoming environment. The menu is impressive. You will find everything from pastries and breakfast meals to tapas, hot and cold starters, various vegetarian and meat dishes along with numerous desserts. The exquisite french dishes come in large portions—an added advantage. Café Français also houses a wine cellar that displays an extensive selection of the finest Wine and Champagne from France. The Café bar, open till midnight serves an array of intriguing drinks and cocktails. At the ever-vibrant and sophisticated Café Français you will see groups of friends catching up over tapas and drinks, while families enjoy the upbeat music along with an authentic French meal. The only French restaurant in town, this is definitely a place to go to—whether its for breakfast, lunch, dinner or cocktails! As the review suggests, bringing French cuisine to the Colombo food scene isn't an easy task, but I'm pleased to say that Cafe Francais never disappoints. The attention to detail and sophisticated techniques that make French cuisine the definition of fine dining are respected by the chefs without pricing dishes out of the Colombo upscale segment. In addition, the portions are more generous than those of many French restaurants I've eaten at in Europe and the decor is very tasteful making for an elegant atmosphere yet sans stuffiness. Lastly, the bar serves up some of the best cocktails and drinks in Colombo, with a nice view onto the lively Park Street Mews.